All of us here at Sturbridge Yankee Workshop are very excited to announce our Annual Winter Seating and Quilt Sale, full of savings on all of our classic stools, chairs, and benches. 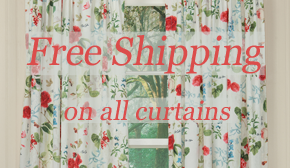 In addition, customers will also find sales on the entire assortment of quilt collections offered within the pages of the Winter 2014 Catalog. Here we feature a few of the newest seating and quilt collections for the season; of course all of your favorites are on sale as well. 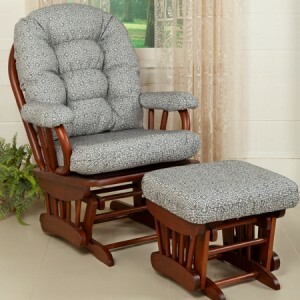 Click here to browse more seating and quilt options. 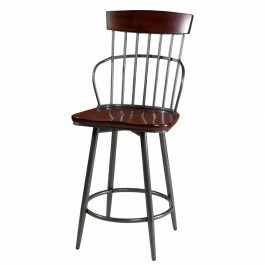 Exuding rustic country charm, the Industrial Era Iron and Wood Stools will offer extra seating in a pinch and country good looks to your home. 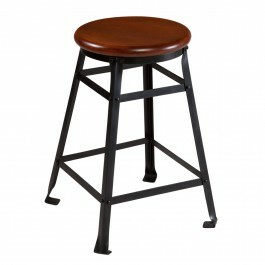 Sturdy spatula shaped feet form the base of the iron legs connected to the securely fastened wood seat on top. Stretcher bars offer support for your feet to rest while sitting. 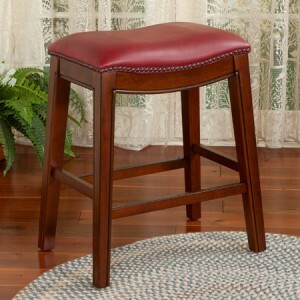 Use a few of these stools at your breakfast bar or counter area to encourage company in the kitchen. 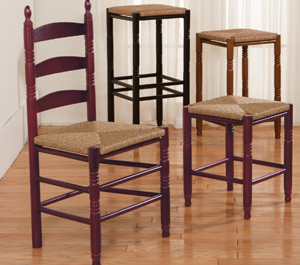 Offering full swivel capabilities on the stools, the Loft High Back Seating Collection can be dressed up for a modern decorating style or dressed down to match rustic country decor. Mottled silver arms and legs complement the deep stain of the seat and high back, offering a touch of something different for your kitchen or dining room. 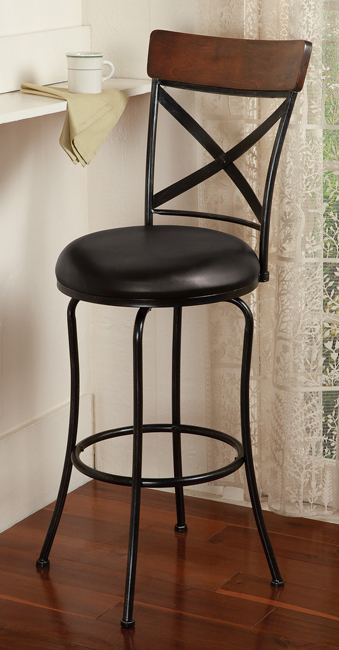 Available in counter, bar and chair height for convenience. 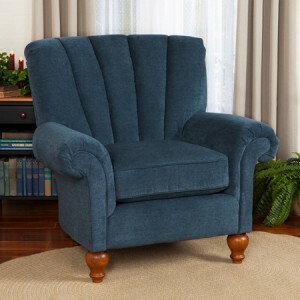 Every room needs a good chair. You know the one, comfortable cushions complemented by a stylish design on durable upholstery fabric that will look fantastic in any room. 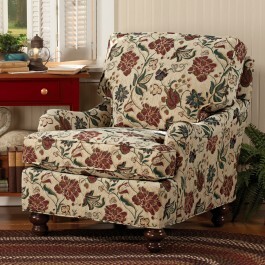 Scrolled arms combine with four fabric options on this chair, made right here in America for added charm. 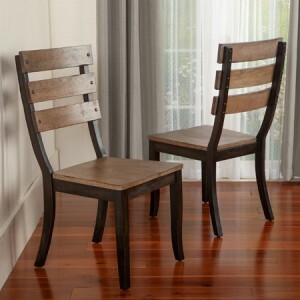 Convenient for smaller spaces, this chair will offer comfortable seating without taking up too much space. 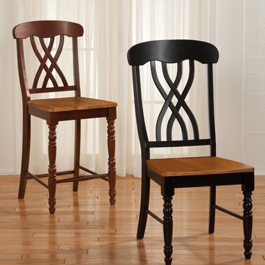 Reversible cushions keep this chair looking great for years to come. 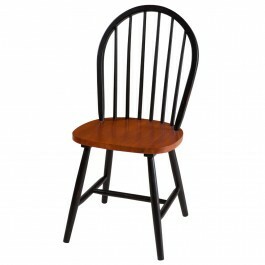 Quality wood chairs will not ever go out of style. Use the set of two arrowback chairs in the corner of your bedroom to keep your favorite throw on display, or for propping decorative pillows in the living room. 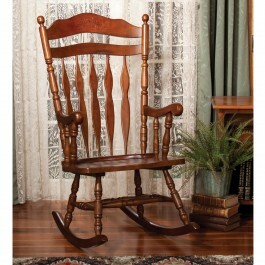 Enjoy the warmth of the sunshine in a Country Rocking Chair, just right for lulling a baby to sleep or for reading a good book under your favorite lamp. 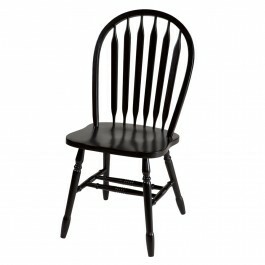 Classic spindle backs, combined with two-tone country charm, arrive as a set of two to offer instant dining room seating. 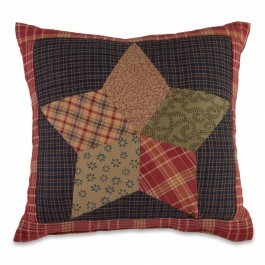 Multiple plaid and calico fabrics are patched together to create primitive inspired star motifs that are featured throughout this collection. 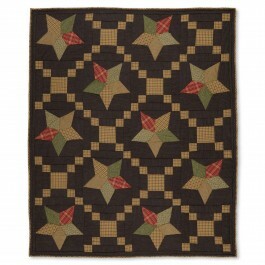 Crisscrossing designs of patchwork squares on the quilts and throw create a mesmerizing pattern that keeps your eye moving throughout the design. 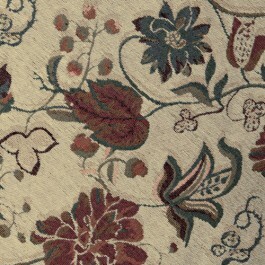 Muted colors will work well with your current style, especially in a country bedroom with a cottage style bed. 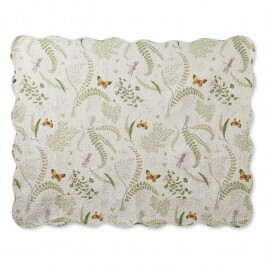 Ferns, butterflies and dragonflies combine for serene imagery that feels like a walk through the woods in early spring (see the detailed image below on the sham). The delicate designs work well together. 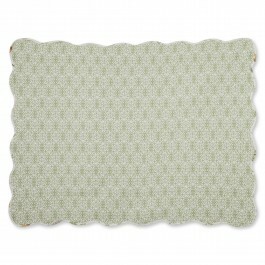 Vermicelli quilting throughout for a soft quilted appearance, and cream and sage green brocade pattern (shown here to the left) on the reverse for versatility. 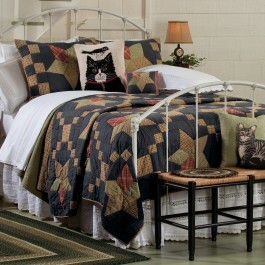 This set would look wonderful on a day bed in the guest bedroom, or even in a child’s woodland themed room.